Refreshing ‘Wonder Drink’ for Hot Summers! 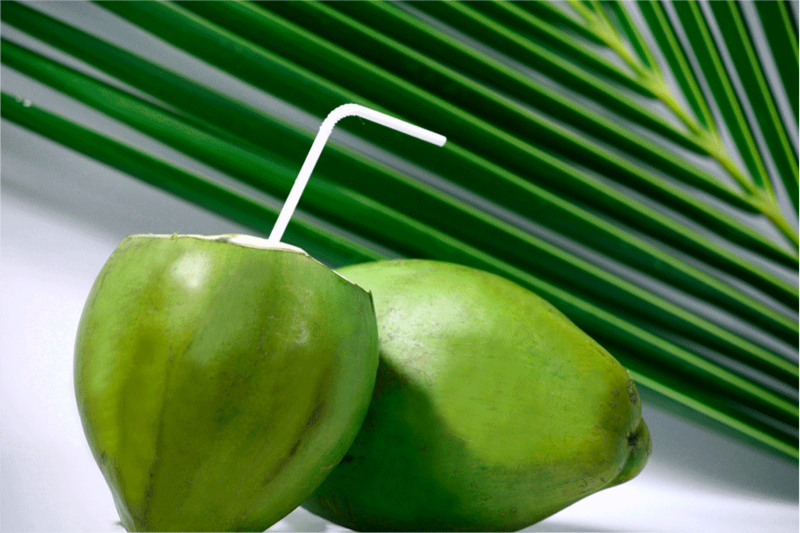 This summer to beat the heat just sip refreshing coconut water to rehydrate your body naturally. The juicy water from a tender, green, healthy, and undamaged coconut, is one of the nature’s most refreshing drinks consumed for its nutritious and health benefits. It not only acts as a natural diuretic for your heart, liver and kidney disorders but also washes out toxins from your skin and body. And the best part is there are no known side effects !! The liquid inside a young coconut is plentiful, sweet, and nourishing. Dehydration: Coconut water is a very refreshing drink, especially during summers to beat tropical summer thirst and replenish hydration levels in the body. Diarrhea: Coconut water has been generally offered to patients with diarrhea. Coconut water contains a very good amount of electrolyte potassium. Digestion: Coconut water helps in digestion and metabolism. It is also an immunity booster. Urinary disorders: The coconut water is helpful in curing problems of urinary disorders. Toxins: Drinking coconut water washes out toxins from human body. It acts as a natural diuretic in heart, liver and kidney disorders. Kidney stones: Coconut water helps in eliminating kidney stones. Cardiovascular health: According to researchers, people with high blood pressure usually have low potassium levels. 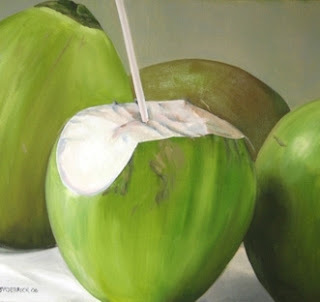 Therefore, drinking coconut water can be quite effective at regulating blood pressure. Coconut water can help in maintaining good cardiovascular health. Weight Loss: Coconut water is a natural electrolyte and isotonic beverage which help increase the body’s metabolism. Therefore, it can greatly help people who are struggling with weight issues. Cholera: Tender coconut water is very useful in cholera. Give eight to 12 ounces of coconut water mixed with a teaspoonful of fresh limejuice to the patient. Coconut water fades off pimple marks. Dab on a cotton ball and use it three times a day. For people suffering from chicken pox drinking and dabbing coconut water on the boils offers relief. If you have blackheads and other types of acne then you can also use coconut water as a mask. If you don’t want the coconut water to rest on your face then you can simply wash your face with it. Use a strong, sharp knife to whack off the top of the coconut, poke a hole in the top, and insert a straw. You’ll be surprised at just how much thirst-quenching, delightfully sweet liquid is inside. Next Post Shop till you drop ! !